There is a significant jump going to monitors in the $300 price range. Heading out of the inexpensive range, these subwoofers feature a much more extreme caliber of specification, making thems feel more premium overall. Features, like phase reversal, tunable crossover, and auto signal sensing are all present and expected at this price point. 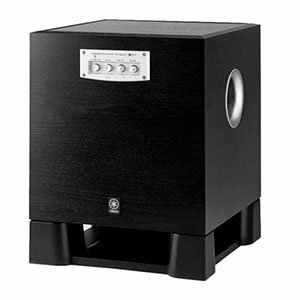 However, features in the construction of both the cabinet and woofer take these subwoofers to a whole new level. Minimalist design which hides a complex set of hardware. High quality cone which delivers finesse and range. 200 Watts RMS rating makes this a powerful sub. Comes with easy to use controls. Aesthetics are a bit too neutral for our taste. Wanting more out of your home theater system is only natural. To truly boost the quality of your audio, you need to invest into more refined hardware. When it comes to subwoofers, Emotiva Audio BasX Sub10 is easily one of the best options out there. 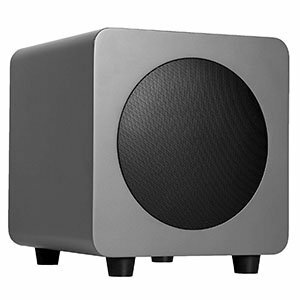 It is a fairly compact but powerful sub that will give you plenty of oomph. Once you take of the mesh, you will find a quality made 10″ injection molded mineral filled polypropylene cone that sits over a copper voice coil. This awesome transducer is connected to a powerful amp that is capable of delivering 200 Watt RMS of awesome Class D quality. The sub reaches from 27Hz to 200Hz and comes with numerous features. A very attractive design that's a pleasure to look at. Packs a 10" spun copper imp woofer cone. Digital amp that delivers plenty of power and clarity. Comes with a wireless pre-paired transmitter. We'd like to see more acoustic controls. Klipsch designs are easily up there with the best. That isn’t something we say lightly. When you look at different models they offer, it becomes clear why many feel the way we do. Klipsch R-10SWi is the perfect ambassador of this brand. It’s a powerful subwoofer that not only brings great performance, but also advanced technologies which improve the experience. Before we get into hardware, it’s worth mentioning that R-10SWi is one good looking sub. It features a stylish cabinet covered in quality vinyl while the cone itself features copper plating. Speaking of the cone, it’s a 10″ unit in a front firing configuration. What makes this sub interesting is the fact that it comes with a wireless pre-paired transmitter. A very straightforward design which has been proven to work. Features a high quality 10" cone. Comes with a powerful amp that offers refined sound. Yamaha's proprietary tech significantly improves the performance and experience. Unusual appearance of the sub makes it an acquired taste. Yamaha is one of those brands that likes to follow logic. If a certain product works, just scale it and apply it to different categories. That is one way to describe how the Yamaha SW315 came to be. It is a scaled up version of a tried and tested model from the same family. As such, it delivers great sound. With a weird looking cabinet, you could say that Yamaha SW315 is anything but usual. That’s perfectly fine. The sound is what matters the most in the end. It packs a 10″ cone and a 270 Watt amplifier that covers anything from 20Hz to 160Hz. On top of all that you’re getting Yamaha’s QD Bass tech and other proprietary solutions. Model designed to sound good but also look good. Features a fairly powerful amplifier that offers good performance. Features diverse room acoustic controls. A 6" cone is below average for this market segment. In case you are looking for something that will enhance the performance of your setup, but also its aesthetics, Kanto SUB6MG might be your best bet. These subs are designed to offer plenty of boost to the low end performance of your home theater, but in style. Overall, it is one of the best mid range subs on the market. One look under the stylish cabinet reveals a 6″ front firing paper cone that’s connected to a 200 Watt Class D amplifier. Truth be told 6″ is below average for this particular category of subs. Even so, Kanto SUB6MG definitely moves a lot of air. These come in black, white and gray and feature all the right room acoustic controls. A robust cabinet designed for performance. A massive 12" woofer cone which moves lots of air. Comes with a 300 Watt continuous power amp. Plenty of acoustic room controls and other features. Not the most compact subwoofer out there. Polk Audio’s PSW 505 represents an awesome subwoofer designed to enhance any home theater setup. It is simple in nature, packed with quality hardware and streamlined for performance. Best of all, it doesn’t come with an exclusive price tag. You could say that it’s a great bang for the buck choice for those who are limited by a tight budget. Despite costing less than most of its competition, PSW 505 packs a 12″ cone which is a rarity in this segment. The amp is a robust 300 Watt unit that has peak rating of 460 Watt. It comes packed with an adjustable low pass crossover, plenty of acoustic controls and more. If you need extra power, this is the answer. 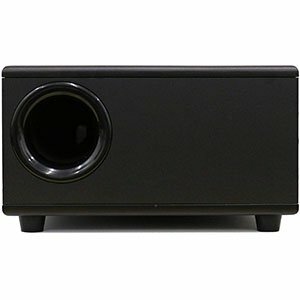 A super compact subwoofer which is easy to work with. Comes with dual bass reflex ports for more responsive bass. Works with just about any home theater setup. Plenty of volume coming from such a small package. It definitely has its limits in terms of power. When you start looking into subwoofers, chances are that most of them aren’t designed with small spaces in mind. Fortunately, there are models which fit this small niche. 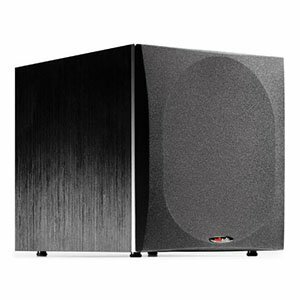 Subs such as Orb Audio subMINI were built with the sole purpose of delivering massive low end performance in spaces which are small and offer little in terms of proper subwoofer positioning. What you get with this bad boy is a 6″ cone that relies on dual bass ports to achieve maximum bass response. Sure, there are much more powerful subs out there, but how many of them can fit in a 9″ by 9″ box? Not many. SubMINI gives you access to a compact sub that packs one very mean punch. Slim design which is great for tighter spaces. Features a great set of controls and I/O options. Good overall performance and plenty of sound. A somewhat limited design to begin with. 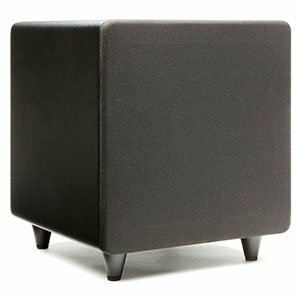 Last but not least we want to show you a slim subwoofer that is perfect for smaller spaces. 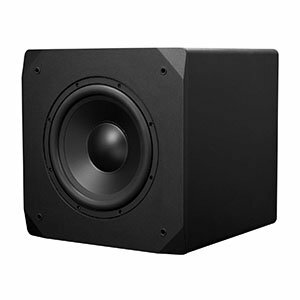 These types of subs are fairly unique in terms of usage, but they offer plenty of good low end when used correctly. What makes Earthquake Sound CP8 so interesting is the fact that it’s fully loaded with awesome features on a budget. It’s slim cabinet is made of proper MDF and features actually decent acoustics. This is a down firing sub with a side firing reflex port. The cone itself is a fast moving unit that is linked to a 300 Watt Class D amp. Overall, the amount of power you get and the quality of sound it offers is pretty impressive. $300 is the price point where a lot more can, and should be expected out of a subwoofer. AS opposed to options under $100 and under $200, these are not just about value, they are about performance. For the money, these models add a lot in terms of build quality and design, while not necessarily beefing up the feature set of more inexpensive options. Still, the premium in cost is well justified, leading to a product that is far better constructed, far better designed, and will sound better for longer overall. Features are not always skin deep, and while these subwoofers don’t hold much more externally to more inexpensive options, they do a lot to beef up the features internally. 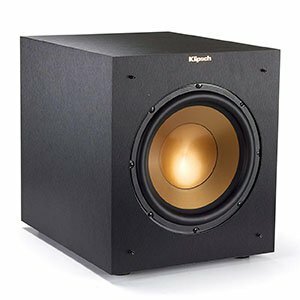 The best subwoofers hold a lot of features both in the design of the cabinet internally and in the design of the speaker. At this price point, you really start to see this come to fruition. The interior of the cabinets and the design of the woofers here are the focal point, taking their “feature set” internal. Of course, external features are still lacking, but it is easily forgiven when the internal design is taken into context. Of course, phase reversal, auto signal sensing, and tunable crossover are still present on all listed picks. So, while not ‘feature-rich’, they certainly aren’t barren in terms of external features, either. Again, $300 marks a shift from inexpensive options in terms of design. These subwoofers branch out in their aesthetic, branding the company’s the produce the product more, and giving a more unique appearance. Since looks are so important when choosing a subwoofer, a lot of choice will come down to your personal tastes at this price bracket. However, some trends still do occur. All of the models are constructed of medium to high density MDF with either a black or faux wood finish. Real wood and more exotic finishes are reserved for more expensive options. This price bracket is really a turning point. Sub-$300 options are the first that truly give a premium experience without being too crazy expensive. The high quality build, attention to detail in design, and excellent sound quality combine together to make them feel like more than a toy. Of course, there are issues like lack of real wood and missing features, but that really is too be expected considering how well these subwoofers perform otherwise.